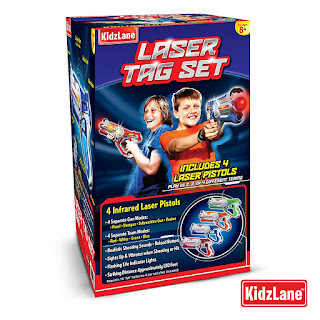 Amazon has the Kidzlane Infrared Laser Tag set for 4 players on sale for $59.99 (regularly $114.99). Immerse yourself in the action! 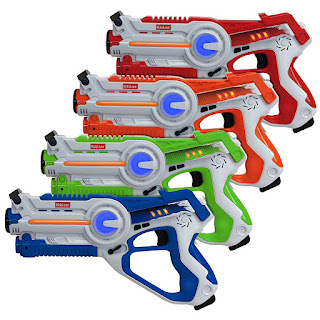 These Laser Blasters light up and vibrate while shooting as far as 130ft! 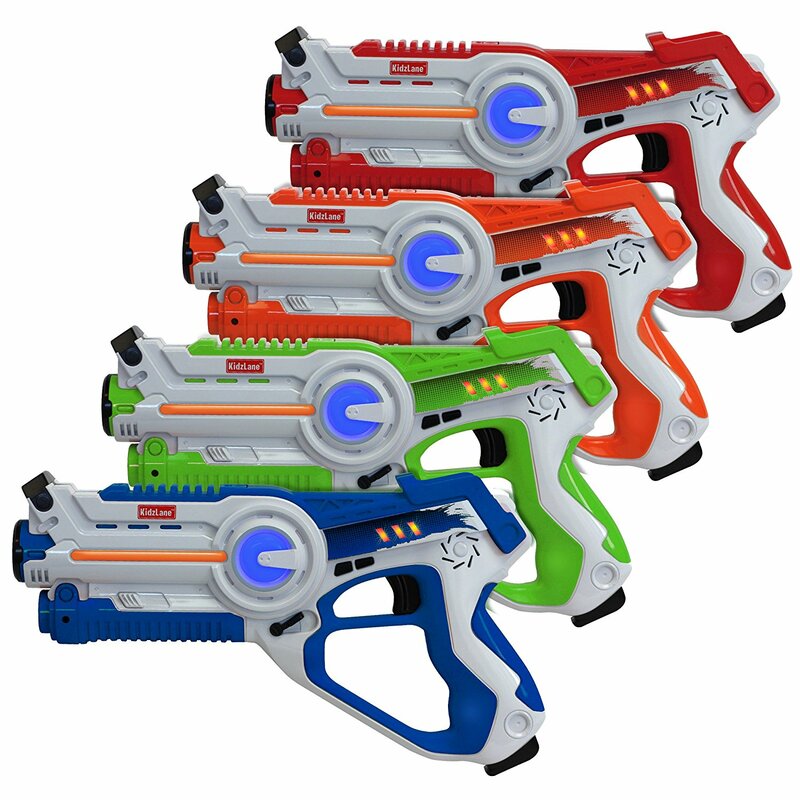 Each gun mode comes with a different range of life bars, available shots and booming sounds that will blow your mind. Best reviewed and most practical set available. Love that you don't have to wear the goofy and weighted gear. 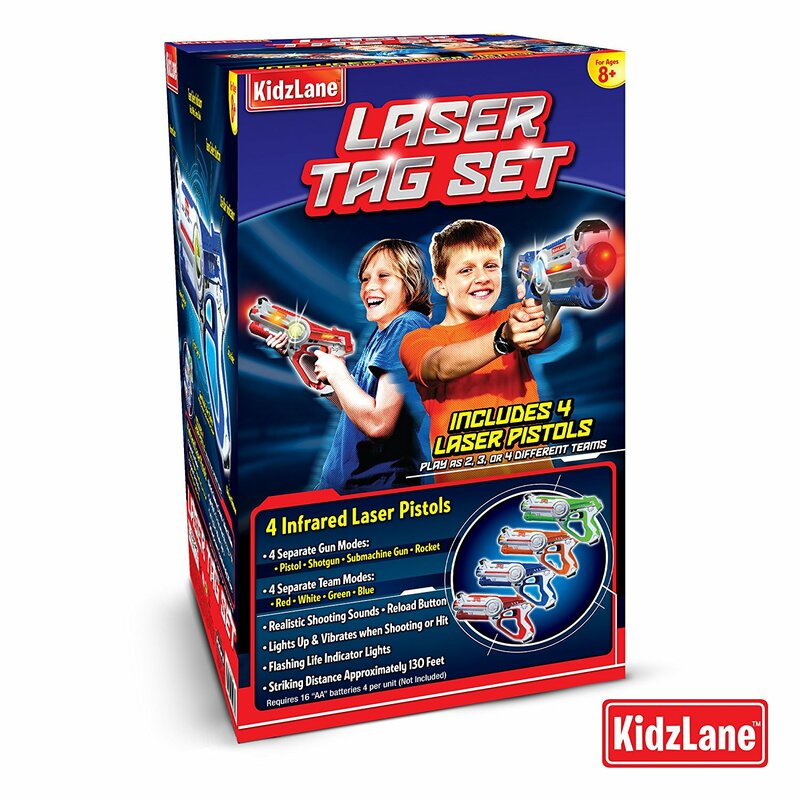 Offers tons of great options for different styles of play.